Our Rustic models have an earthy look, creating a uniquely rustic gardening experience for you to enjoy. 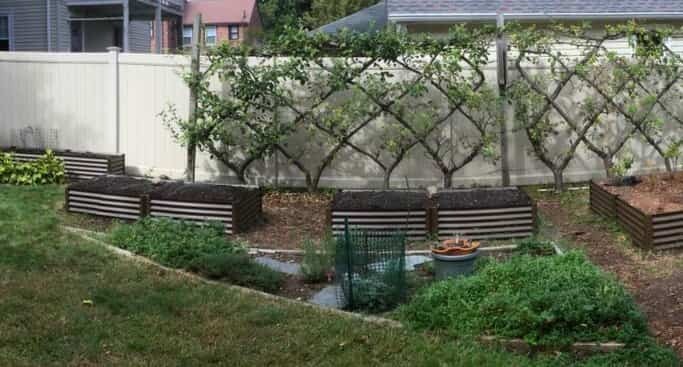 These are our metal garden beds constructed with galvanized steel material that have been powder-coated a rich brown hue to bring brilliant earthy colors into your garden space. ​​Our Rustic Grande Garden Beds are used by gardeners for harvesting on a grand scale.The Rustic Grandes are popular with backyard gardeners, local community gardens and with restaurants that "grow their own". Construction is supported with a unique 3 rung support beam system that makes for a sturdy long life. Easy to assemble and once together, you have a gardening area that is 7 feet long by 3 & 1/2 feet wide (call it your own back 40!). Great for square foot gardening and for growing your own produce. And for really long garden beds, check out our Largo, Fresa and Grande Extenders - all available in the Rustic Series as well! ​Each year we have a photo contest and entries are highlighted on Facebook (link at bottom of this page). You will get great ideas on design and function when you scroll through the post history.